Cancer is something that can affect many people’s lives in some way or another. As Head of Healthcare Programmes, I oversee the three cancer screening programmes we offer in Jersey: Bowel, Cervical and Breast. Screening is designed to saves lives by preventing cancer or detecting cancer as early as possible. We’ve made it easier for women to attend breast screening appointments by creating an online booking system that is accessible 24 hours a day. If a woman can easily change her appointment to one which is more convenient, she is more likely to attend. In Jersey, over 5,000 breast screening appointments are arranged each year. A breast screening IT system manages the programme, including generating appointments. Letters are posted out usually a month in advance, with an appointment date and time. Previously, if a woman needed to change her appointment, she had to telephone the breast screening administrator during office hours. Now, thanks to the work we’ve completed with the eGov team, they now have 24 hour access to a secure online system. Our overriding aim was to make this online booking system as easy to use as possible. Women can now log on using a PC, laptop, tablet or mobile device and choose a more convenient appointment. ‘We were going to be on holiday on her appointment date. 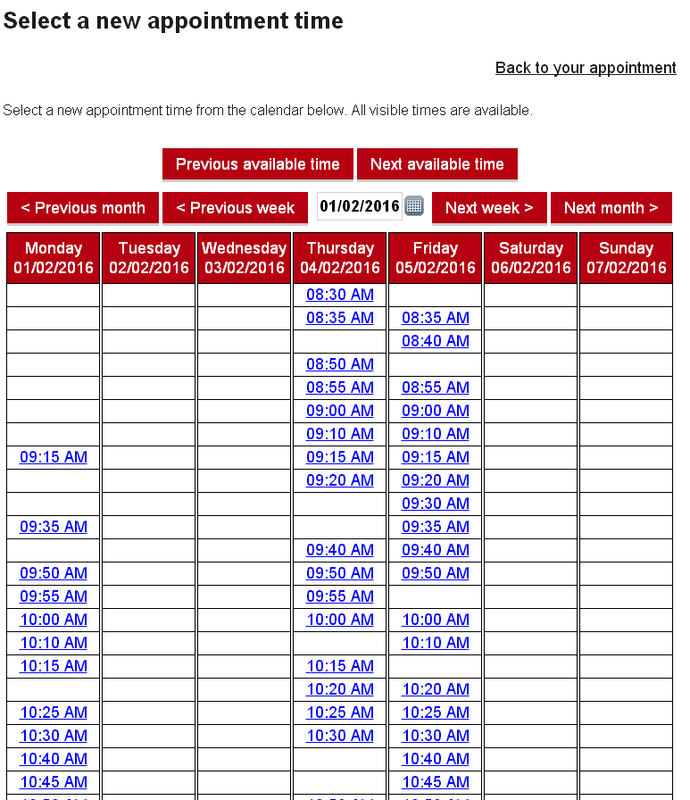 It was brilliant to be able to change the appointment on-line. You tell the IT team from us that this was really good’. We were very excited to see such a high percentage of use of the breast screening appointment portal so quickly and it reaffirmed that we really were offering our customers flexibility and choice. An additional benefit to our new online system is that it should also help us optimise the availability of valuable breast screening appointment slots within the hospital. In 2011, of the women invited for breast screening, over a quarter did not attend for their appointment. The consequences of women not turning up meant screening appointment slots were being wasted, with the mammography x-ray machinery being under-utilised during those missed appointments and our highly-skilled mammographers being unable to make best use of their time. Having made several changes to our breast screening appointment process since 2011, including the use of text messaging reminders, we had already reduced the percentage of missed appointments to 6%. We anticipate that the new online facility will help us to reduce this number even further. This project is part of ongoing improvements to data management by Public Health, one of the benefits of which will be ensuring that people are eligible for screening are contacted. We are currently looking at whether a similar online booking system could be used for bowel screening. Breast screening involves women having an x-ray test, called a mammogram, to check their breasts for signs of cancer. As in the UK, screening is offered to women aged between 50 and 69. In Jersey, once a woman in this age range registers onto the programme, they’ll be invited for a mammogram every two years. Find out more about breast screening at www.gov.je/breastscreening. Some readers may ask why an online appointment facility can’t be rolled out across the hospital for all appointment services. Whilst our aim is to work towards this goal, not all of the clinical systems in Health and Social Services are yet joined up enough to enable this to happen. Many of these departmental systems are complex and therefore the integration work is also complicated. A lot of behind the scenes work is necessary to achieve, what may appear to be, even simple changes. Nevertheless, work is now going on within Health and Social Services to start linking up these systems in order to add value and improve the experience for patients. 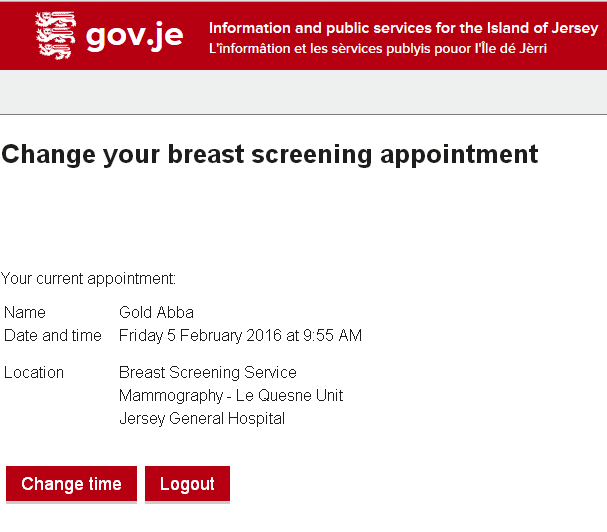 We think our breast screening initiative illustrates that we’ve made a successful start within Health and Social Services towards the States-wide goal of making services more accessible online to Islanders. With common goals of offering flexibility, choice and putting customers at the heart of everything we do, we look forward to working with the eGov team in the future to identify more ways of achieving this.